As an experienced negotiator, marketing strategist and selling agent, Joseph thrives in an environment where he can use his well-honed skills to help people achieve their real estate goals. Prepared to commit the time and hard work required to excel in the industry, Joseph immerses himself in the sales process ensuring his clients are well cared for. Joseph flourishes as part of the Marshall White One team, building relationships and meeting new people every day. Joseph strives to provide excellent service, navigating challenges so as to provide an easy flow of information back to his clients every step of the way. A Bachelor of Business from RMIT underscores his industry experience. A big believer in the benefits of all round well-being, Joseph remains active by swimming and playing soccer. He also loves to cook, see the world and spend as much time as possible with family and friends. We had a great experience selling our property with Jack and Joseph from Marshall White One. We chose them because they had recently sold another property in our block so we had seen Jack (the auctioneer) in action and his local knowledge of the area was obvious. Jack and Joseph were friendly, helpful and professional and did a great job guiding us through the process and keeping us very well informed of interest from potential buyers. They had us as prepared as we could be for the big day (auction day nerves aside). While we ended up getting a great price and are obviously happy about that, Jack and Joseph had made the whole experience seamless and painless and we highly recommend them. Joseph and Jack provided outstanding customer service in selling our second property, always keeping us up to date on potential buyers and advice on how the market was performing. Both Jack and Joseph have engaging personalities which make you very comfortable that your outcome is their priority. I would like you to convey this feedback to senior management as all to often negative feedback always get the attention. We would certainly recommend our friends to Marshall White if they are selling properties in the area. We recently enlisted the services of Marshall White One for the sale of our apartment and can't recommend them highly enough. Selling a property can be a stressful event but from the first meeting we had with Joseph and Lewien it was clear that they are experts in their field and really understand the property market which they operate in. They kept us highly informed throughout the whole sales campaign as well as offering plenty of useful advice and providing thorough debriefings after each inspection which helped to ease our nerves. Matt was our auctioneer on the day and he helped to deliver on a great end result which we were very pleased with. We would highly recommend Marshall White One and in particular Joseph, Lewien and Matt who made a great team. Thank you for all your efforts in helping us achieve such an outstanding sale result for our Balaclava apartment. Having researched and met with a number of agents from our area, your preparedness and professionalism demonstrated from first contact made you stand out from your competitors. It was refreshing to hear such an honest, realistic assessment of our property, including possible drawbacks, and how we could best prepare and position the property for an optimum result. What could easily have been a stressful and taxing process was made effortless by your practical approach and sound guidance when it came time to making decisions. We were particularly impressed with the detailed, regular communications you both provided us throughout the campaign which gave us great insight into how our property was being received by potential buyers. Any questions or concerns were dealt with promptly and reassured us that we were in safe hands. We couldn’t be more pleased we chose to put our campaign in your capable hands. The skill, integrity and professionalism you each displayed, along with the rest of the Marshall White One team, was second to none and we would recommend your services without reservation to anyone considering selling their property. We would like to take the opportunity to thank you very much for your efforts in the successful sale of our property. From the first contact you put us at ease with your pleasant and friendly manner. We found you be an excellent communicator, keeping us up to date at every stage of the campaign. Your knowledge of the market helped us to make informed decisions. The auction strategy was masterfully handled by yourself and Matt Giulieri to achieve the good result. Based on our experience, we would highly recommend you and using Marshall White One. Thank you again. 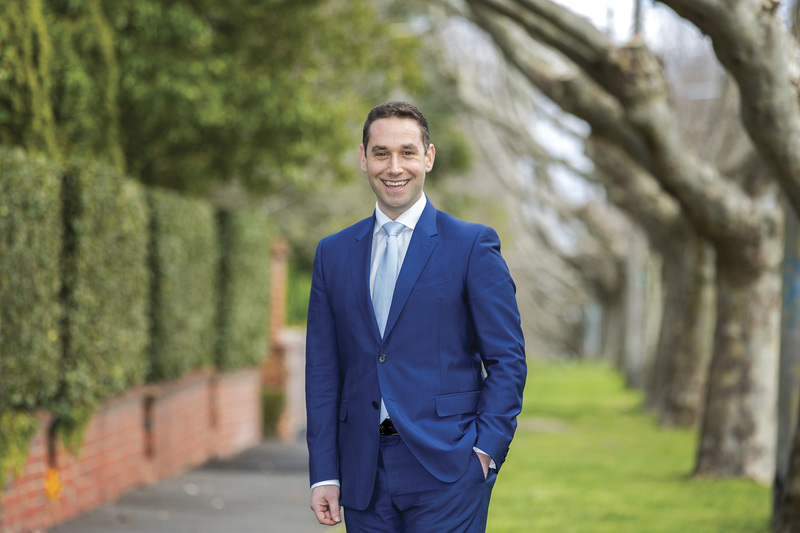 My wife and I recently engaged Joseph Ben-Danan to sell our property at 2/388 Dandenong Road in Caulfield North and wanted to commend him for not only the fantastic sales result but the professionalism and assistance provided throughout the campaign. We currently reside in Sydney and were not able to be in Melbourne in the lead up to listing the property, throughout the sales campaign nor day of auction. However, our concern at not being in Melbourne was quickly alleviated by the regular updates and communication as well as the attention to detail provided by Joseph. Working with our previous tenant and a range of other parties, Joseph and the MW One team coordinated all aspects of the sales process with key stakeholders in preparation for the sale, removing all stress for us. To top all this off the result achieved on the day of Action exceeded expectations making for a very happy vendor! We would have absolutely no hesitation in engaging Joseph and the MW One team again and would highly recommend them to other sellers.